Supercharge the office with affordable color and fast two-sided performance. Save paper with automatic two-sided printing, and handle more tasks without slowing down. 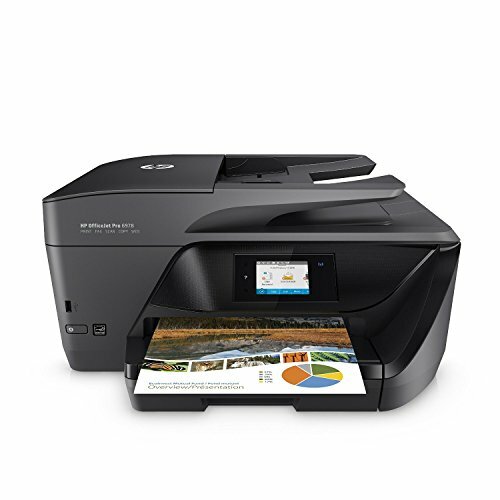 Manage your budget with professional-quality color at up to 50% less cost per page than lasers with the HP OfficeJet 6978 wireless printer. Easily print from a variety of smartphones and tablets. Connect a smartphone or tablet directly to the printer and easily print without a network. Print wirelessly, and share this all-in-one with other wireless-enabled devices. Set the pace for success with rapid print, scan, and copy speeds. Save paper and conserve resources—consume up to 50% less paper with automatic two-sided printing. Make scanning effortless and accurate. Never turn a page again when you need to scan two-sided documents.